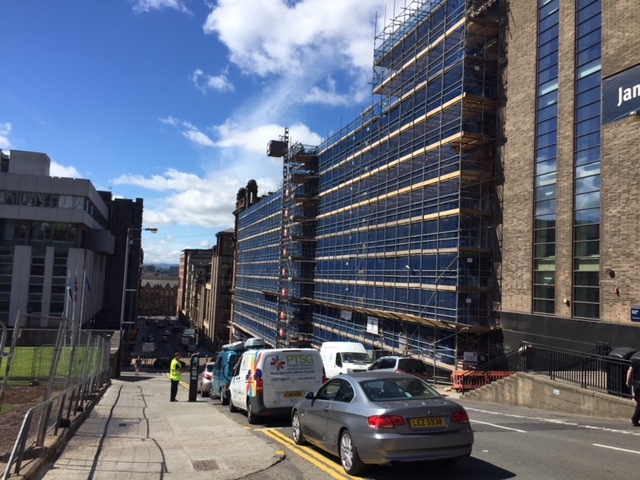 Onsite at the Royal College – external fabric repairs at the Royal college is underway. 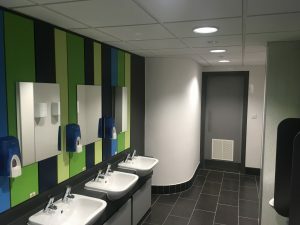 Phase 2 of Curran Building WC Upgrade Works Complete! 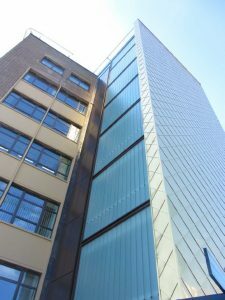 The works comprise of the complete refurbishment of Student and Staff WCs across 4 levels of the University of Strathclyde Library. 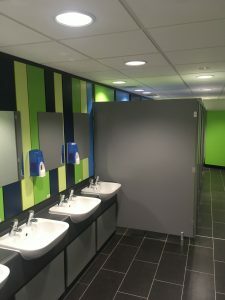 The project was undertaken under 3 phases to ensure adequate toilets provision was maintained at all times to allow the continued use of the Library. 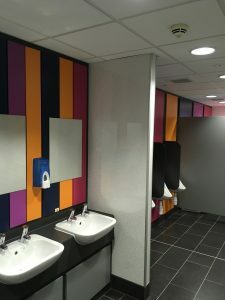 We are very happy with the completed works so far which incorporate the University of Strathclyde’s visual identity colours for each floor into feature laminate panels across vanity units and IPS system. 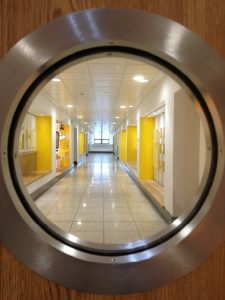 The refurbishment of the James Weir building at Strathclyde University is now complete. 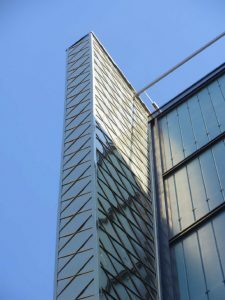 Visit our news page to keep up to date with our recent projects and follow us on twitter!